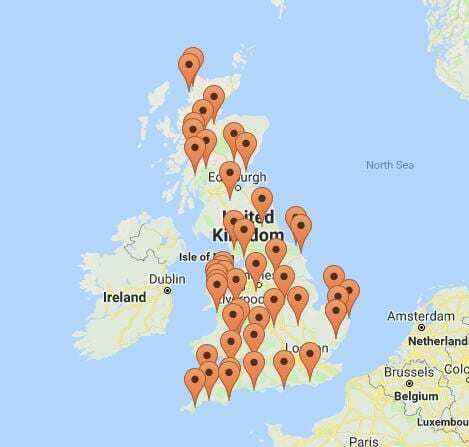 Last week VisitEngland announced the recipients of its annual awards for Excellence in the UK Tourism Industry. 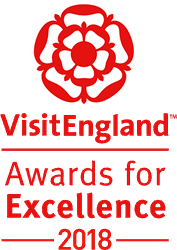 VisitEngland Chief Executive Sally Balcombe said: “These awards shine a spotlight on our fantastic tourism industry, with the winners showcasing the quality, innovation and excellence on offer throughout the country. Kirstie Allsopp presented the glamour-filled VisitBritain Awards evening at Bath Assembly Rooms, announcing the winners for titles such as Afternoon Tea of the Year, Dog Friendly Business of the Year, Visitor Information Provider of the Year and 18 other awards. The awards demonstrate how truly individualistic holiday experiences here in the UK can be. Hotel owners, B & B operators and landlords have the freedom and flexibility to offer highly unique, fun and fabulous options for their guests that can not only enhance their experiences of staying in the UK, but can also create really memorable experiences right on their own doorsteps. The Tourism Superstar Competition winner was Jim Reilly, a customer services advisor with Red Funnel Ferries, who was presented with his award by Daily Mirror’s Travel Editor, Nigel Thompson. If you have a fabulous idea to offer something a little bit different and stand out from the competition and make a name for yourself within UK Tourism, but need some investment to get started, speak to one of our hospitality finance experts on 01488 393040 to find out how hospitality finance can help you find the funds you need to set your hospitality business apart from the crowd.